The United States Women’s National Team ended the SheBelieves Cup on a high note. After tying its first two matches against Japan and England, the squad managed a 1-0 victory over Brazil on Tuesday. 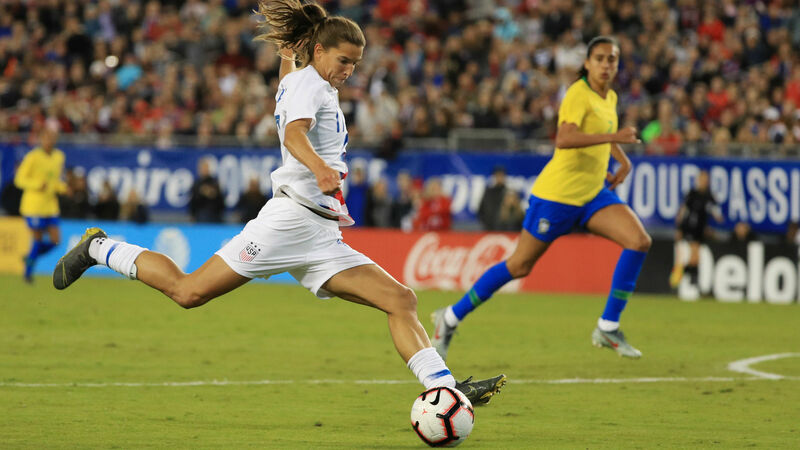 Tobin Heath scored the only goal for the U.S. in the 20th minute. She placed the ball in the top left corner after corralling a deflection from the opposition’s keeper. Both sides had nearly identical possession throughout the game, but the U.S. managed to take seven more shots than Brazil. It also put three more shots on target. England ended up claiming the SheBelieves Cup crown with a 2-0-1 record while the U.S. finished 1-0-2 and placed second. Japan and Brazil finished third and fourth, respectively.